It was, until recently, the premier division in boxing, the weight class with the most elite-level talents and the most tantalizing match-ups to be made. Over the decades, the welterweights have always delivered. You can even go way back into the sport’s history to discover that some of the most legendary battles of all-time happened at 147. Truly historic fights like Mickey Walker vs Jack Britton, Sugar Ray Robinson vs Kid Gavilan, Henry Armstrong vs Barney Ross, Roberto Duran vs Ray Leonard. 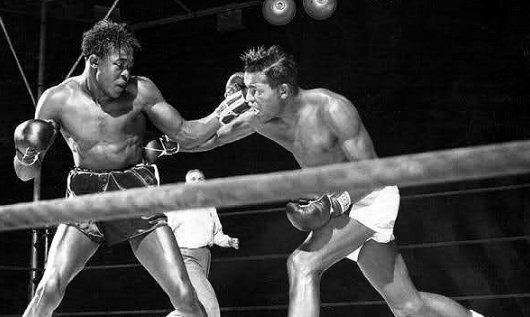 Welterweight legends: Kid Gavilan and Sugar Ray Robinson mix it up. Say what you will, it was at 147 where one found record breaking pay-per view-events, big names and amazing talents, so no one expected the welterweights to go quite so softly into that good night. Paging Dylan Thomas. There’s a division in need of encouragement. Or at least a number of top fighters who are. Make no mistake about it, welterweight may still contain the brightest lights in all of boxing. Don’t believe it? 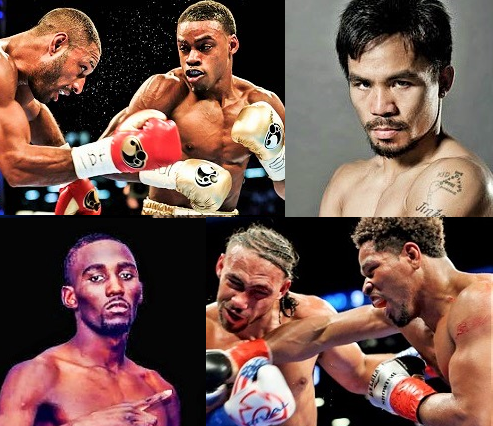 Let’s keep in mind that Errol Spence is a welterweight titlist and Keith Thurman, despite appearances, is still in the mix. And don’t forget that Bud Crawford may soon be holding a major belt at 147. If that’s not enough, there’s names like Jeff Horn and Shawn Porter and, yes, even Manny Pacquiao. Is Crawford about to become a major player at 147? In other words, the division is red hot. Only it’s not. 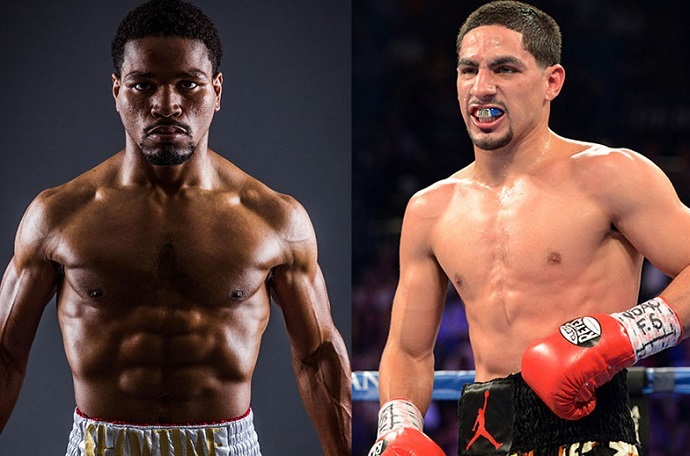 The recent news that, at long last, Porter and Garcia will throw down on August 25th only highlights the fact that this will represent for Porter just his sixth fight in four full years and Garcia’s seventh. That kind of activity rate just won’t cut it when there’s so many great fights waiting to happen in a stacked welterweight division. 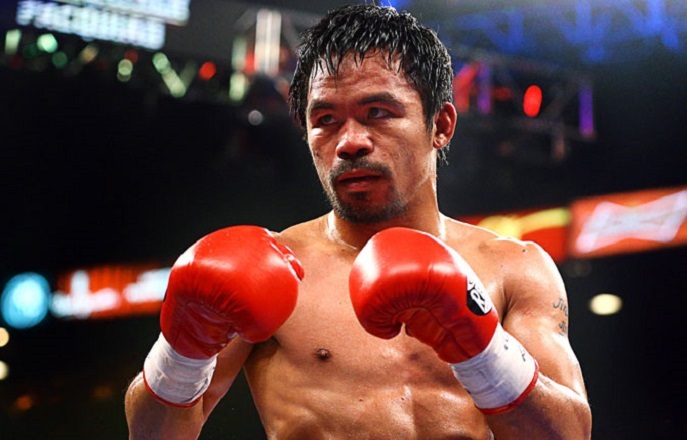 Manny Pacquiao has been even less active than Garcia and Thurman of late, but let’s face it; he’s earned his time off. In fact, he seems to have earned himself an eternity’s worth of credit with most boxing fans. After all, here is a man who ducked no one. Now that the Filipino legend has about reached middle age and is getting ready to ride off into the sunset, fans are willing to give him a pass, even though he isn’t doing much to help the division realize its potential. Pacquiao’s next opponent, Lucas Matthysse, is an exciting, tough, fighter, but no one’s comparing the Argentine slugger to Crawford or Spence. As for Garcia and Thurman, each man gives the impression, intentionally or not, that he isn’t so enthusiastic about boxing. 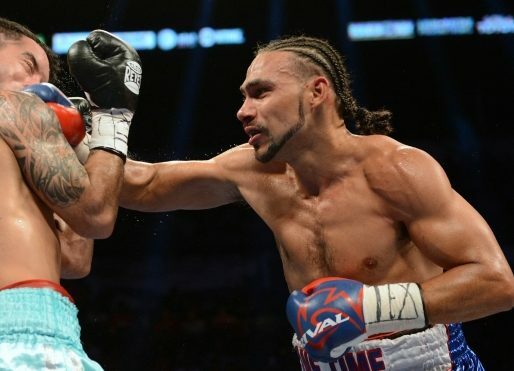 Thurman beat Garcia in a close fight last year, but both men come across as being so easy going that one is left to wonder if either would be troubled if he ever fought again. This is a shame, as both are brave, exciting athletes. In an age where less talented boxers can break through simply by being showy, the glibness that comes across when Thurman and Garcia speak seems (“seems” being the operative word here) to belie a lack of concern for matters of competition and legacy. But the overall difficulty here is just the lack of buzz for a weight class stacked with high-grade talent. No one is talking about who will emerge on top of the heap, as they are with the heavyweights, because politics and perceived indifference (or even unwillingness) on the part of some boxers has made such conversations pointless. Who wants to talk about fights that will never come to fruition? Or that will take so long to make all the energy will be drained out of them? That said, things could be worse, no doubt. And it wasn’t that long ago when all of boxing seemed to have ground to a halt. I remember talking to a friend during the autumn of 2016 and admitting I feared boxing might be literally dying, that there would be occasional big fights, but the sport in general was about to fade into obscurity. I suspected at the time – wrongly, thank goodness – that boxers as a rule simply didn’t want to fight anymore. If you remember that dark period, you’ll recall my fear wasn’t that far-fetched. But the following year, 2017, proved me wrong, of course, to everyone’s relief. One major match-up after another dotted the calendar. Things couldn’t possibly keep going as strong into 2018, but in fact we’re enjoying another excellent year. Except, that is, with the welterweights. The 147 realm, unfortunately, remains the holdout division, a place stubbornly stuck, figuratively speaking, in the fall of 2016. Despite the fact it has the potential to light up the entire sport. Just in time: Porter vs Garcia is set for August 25. One quick note: Boxers today, far more than in the past, talk about their health when discussing their activity and future plans and it’s a legitimate concern. The risks, short-term and long-term, are obvious and can’t be wished away. But on the other hand, boxing is a craft and a profession and in order to stay vibrant and sharp, top fighters need to fight. If Tom Brady voices concern for his health, no one will fault him but no one will accept him playing only half a season either. That said, we shouldn’t scorn Thurman for giving up one of his titles while he heals from an injury. It’s the right thing to do. All this said, the fact Porter and Garcia are now set to do battle is definitely a promising sign that things might finally heat up at 147. There’s also news that Thurman will be back in action in a few months. If the welterweight division is primarily about unrealized potential, that might change in the very near future. Because there’s still time. So many of the most exciting match-ups can still happen. Pacquiao vs Porter. Crawford vs Spence. Porter vs Thurman II. Spence vs Thurman. The list goes on. Major pay-per-view events. Rematches and rivalries. It can happen. So let’s get busy people. Let’s not allow all that potential to go unrealized. Let’s make the welterweight division historic again.